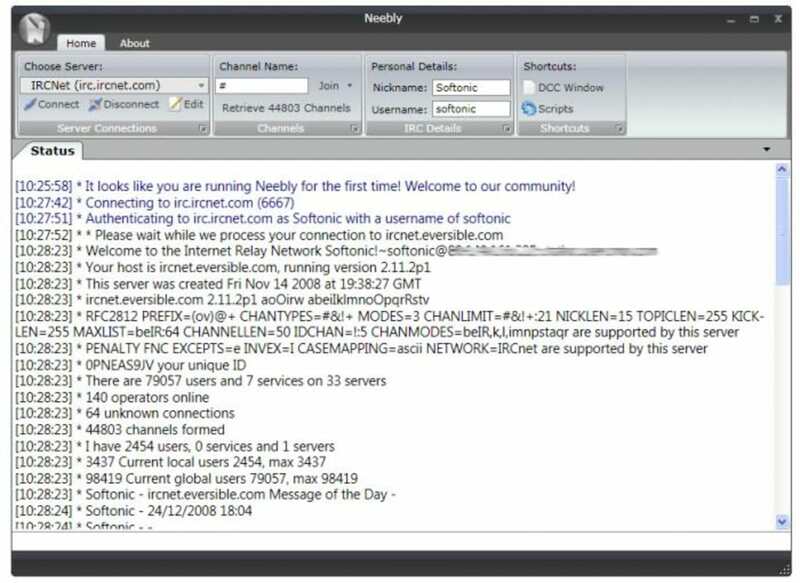 There are so many Internet Relay Chat (IRC) clients for Windows that it's hard to see what yet another one could bring. And yet Neebly manages to leave it's own mark on the IRC world as a modern looking, easy to use, freeware IRC client for Windows. Neebly is very much a work in progress - new releases are made every 1 or 2 months and it's surrounded by a community of developers who are constantly improving it. It should also be noted that it's not for beginners - it's a million miles away from Microsoft Live Messenger and aimed more towards developers than general users. What characterizes Neebly is its use of Ribbon menus which gives Neebly a simplified, elegant look no matter now many conversations you have open. 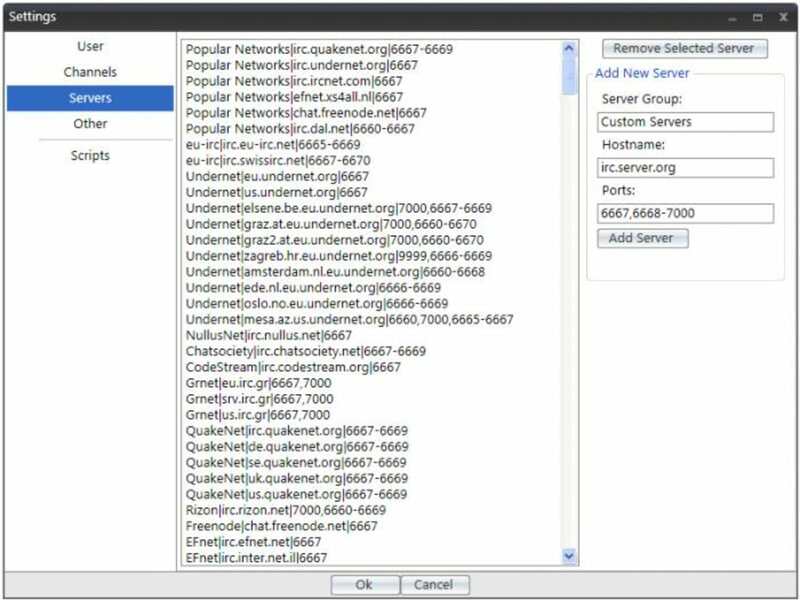 It doesn't have all the graphical touches of something like MSN Live Messenger and the stripped down look and server channels give Neebly the look of something closer to eMule than an IRC client. As a result, it's a chat client which the tech savvy will appreciate, but beginners may be intimidated by. You can open different chats with different contacts in tabs although this is nothing new - Adium has offered this for a long time although it's a useful way of keeping track of your conversations. 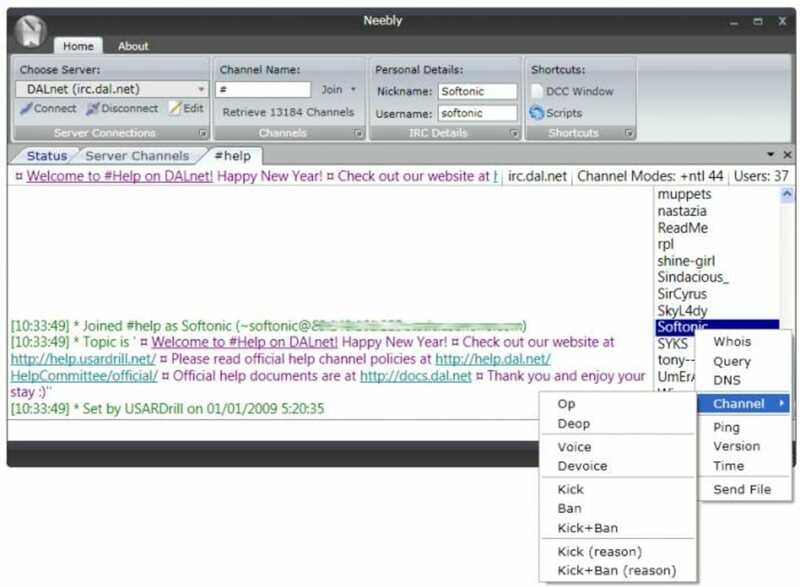 Neebly is an original and flexible IRC client that's not really going to compete with the big boys but is great for developers or those that need to create their own chat channel. What do you think about Neebly? Do you recommend it? Why?